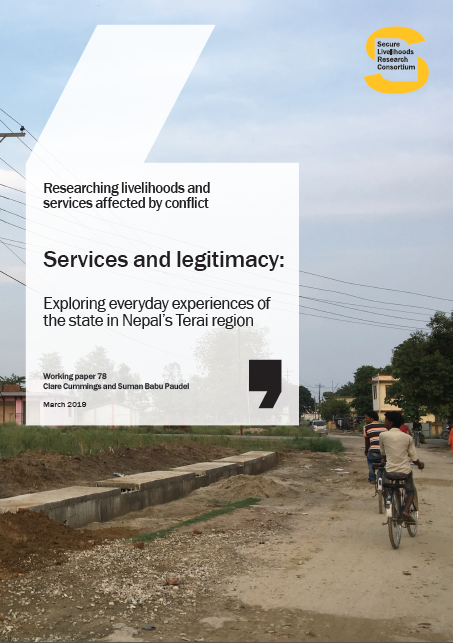 In 2012, SLRC implemented the first round of an original sub-regional panel survey in Nepal aimed to produce data on people’s livelihoods, access to and experience of basic services, and people’s perceptions of governance. Data was collected from 3,176 households in three districts – Bardiya, Ilam and Rolpa – between September and November 2012, and are representative at the village level. A second round of the survey, where we will return to the same households, will be conducted in 2015/16.